Fantastic review! I didn’t realise this happened 25 years ago! I remember reading about those murders, Cleo! And it sounds as though this really is a detailed, interesting perspective on them. I’m glad you found it informative and readable. 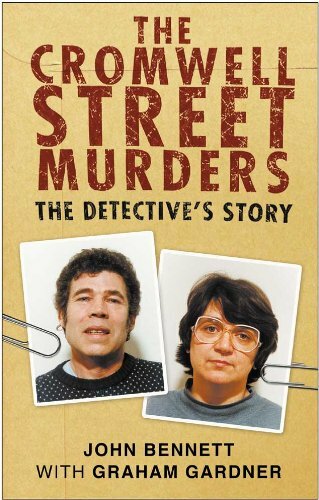 Great review, and I do enjoy seeing how the police gather their clues and evidence and put together their case. I also relate to wanting to read about murders in a place where you’ve lived. When I lived in San Francisco, CA., there was a rampant serial killer at work, and every day I would read the papers and be terrified. I don’t think they ever caught that one, though. Sigh. I do like true crime and this sounds like a ‘good’ one. Wonderful review Cleo! I thought that I’d read most of what was out there also on these murders, though it wasn’t quite as easy to tell from the US. This looks like a good addition to what is out there for sure, as far as filling in the story. I always like to see a story from the law enforcement point of view too. This was just so sad and will haunt many lives for a long, long time because of what they did “for kicks”, supposedly. Thanks for sharing. This sounds like a really interesting and balanced book. True crime is always very interesting to read, but I imagine it must be horrific for all the people who were touched by the crime (even if it is just living in the same area).